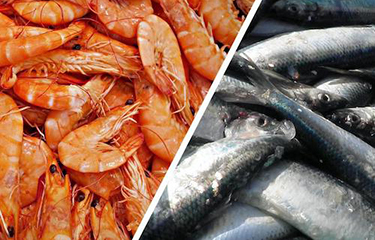 Water from seafood processing activities that tend to be treated as waste contain valuable nutrients that could be used in food or aquaculture feeds, a new research project has confirmed. According to researchers at Chalmers University of Technology, Sweden, approximately 7,000 to 8,000 liters of water is used to prepare a ton of marinated herring, while 50,000 liters of water is needed per ton of peeled shrimp or for three tons of raw shrimp. But these side stream waters contain proteins, peptides, fats and micronutrients, which could be recycled and used – for example by the food industry – as an ingredient in feed or for growing microalgae. The Nordic project Novaqua, coordinated by Professor Ingrid Undeland of the Department of Biology and Biological Engineering at Chalmers University of Technology, has shown the potential of extracting these nutrients from the process waters. The research project started in 2015 with the aim to recover nutrients from seafood process waters and create innovative uses for them. A similar approach is already successfully implemented in the dairy industry, where whey – the residual liquid from cheese making – is used in sports nutrition, as well as in different food and feed products. When the research team measured the composition of process waters, they found them to contain up to 7 percent protein and 2.5 percent fat. In process waters from shrimp, astaxanthin, a red pigment and antioxidant often used as a dietary supplement, was also present. “Our calculations show that in a primary processing plant for herring, as much as 15 percent of the herring protein coming in to the industry leached out into the water and was treated as waste, thereby lost,” said Undeland. Using a two-step process, the research team managed to recover up to 98 percent of the protein and 99 percent of the omega 3-rich fats. The process resulted in a semi-solid biomass and a nutrient-rich liquid. After dehydration, biomass from shrimp boiling water was shown to contain 66 percent protein and 25 percent fat. Two tests were made, together with the University of Gothenburg and Skretting Aquaculture Research Centre (ARC), using this new biomass as an ingredient in feed for salmon, and the results were encouraging. The nutritious liquid was used for glazing frozen fish, thereby protecting it from going rancid. It turned out to be slightly more protective than water, which is currently used for such glazing. The fluid was also tested as a substance for microalgae-cultivation and was shown to enhance the growth of two types of algae. The algae biomasses can subsequently be used as sources of protein or pigment. All in all, the research project pointed out several different ways to recycle the nutrients which are currently lost in the process waters. The next step is implementation in the seafood industry. “A major challenge is to get the industry to manage the water side streams as food, beyond the stage when they are separated from the seafood product. Today, that is the point where the side streams start being handled as waste. This means there’s a need for new routines for cooling and hygiene,” said Undeland. In Sweden, the waste waters are purified to some extent before they go out of the factories. This means that many seafood producers already have the flotation technology needed in the second step of side stream recycling. But there are also investments to be made, according to Bita Forghani Targhi, a post-doctoral researcher at the division of Food and Nutrition Science and colleague of Undeland. “The main challenge would be cost-related issues,” she said. The work now continues within the new project AquaStream, funded by the European Maritime and Fisheries Fund (EMFF). The next phase will include consulting with local businesses, interviewing them on generated side streams and verifying the current nutrient loss through a primary characterisation of process waters. “I am quite positive on the fact that related industries, sooner or later, will be implementing these techniques. With ever increasing awareness on the value of recycling nutrients, this facilitates industrial processes to adopt feasible approaches towards a circular economy,” Targhi said.